The final results are in for this year’s senior school scholarships and Hanford is delighted that out of a year group of 22 girls thirteen awards have been achieved. Academic scholarships were awarded by Cheltenham Ladies College, Heathfield and St Mary’s Calne to three girls in addition to an exhibition for St Mary’s Calne and an academic award to Bryanston. In the sports field there were three scholarships and awards to St Mary’s Ascot, St Mary’s Calne and King’s Bruton. 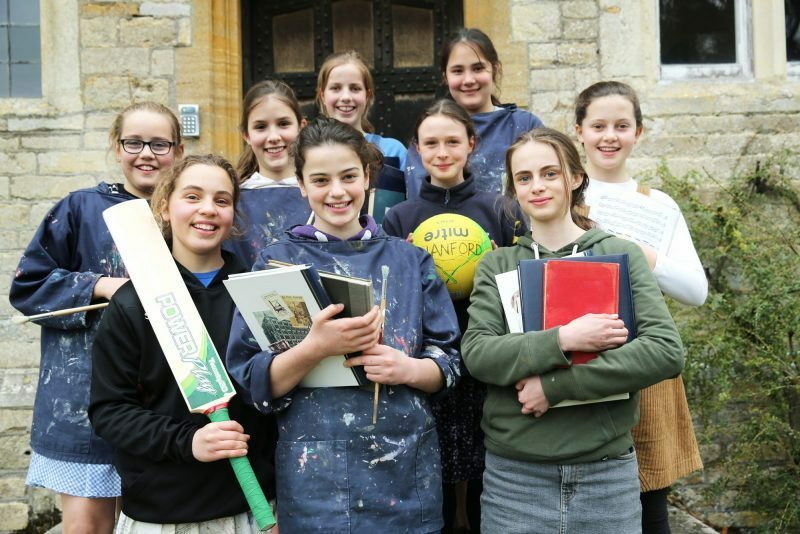 The creativity and talent shone through in awards and scholarships for Art given by St Mary’s Shaftesbury, Sherborne Girls, St Mary’s Calne and a demanding Music exhibition awarded by Cheltenham Ladies College. Congratulations to all nine girls: Alice, Clemmie, Eliza, Ella, Georgia, Ingrid, Ophelia, Ashlyn and Louisa who achieved these awards. Thirteen girls at Hanford took on these difficult and often challenging assessments with impressive hard work and commitment ably supported by their talented teachers. This year’s results bring the total number of awards received in the past five years to 50, continuing evidence of the excellence of Hanford’s staff in helping to nurture the girls’ talents and enable them to fulfil their potential. In addition to our super scholarship successes it must also be noted that the girls in the year below took on the demanding pre-assessments now required by Bryanston, Cheltenham Ladies College, Marlborough, St Mary’s Calne and Sherborne Girls. All of them have been offered places which given the competition for places at many of these schools, this is another outstanding result.